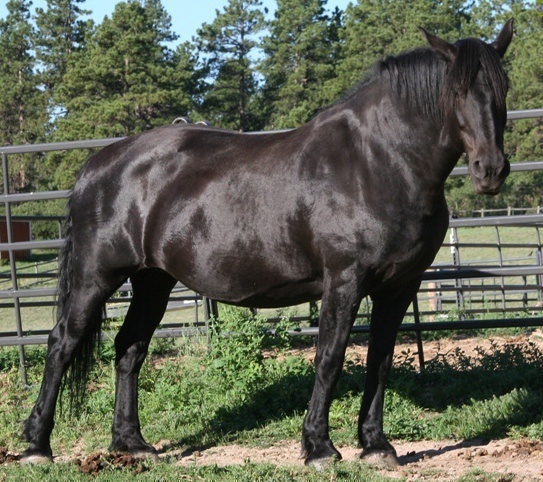 Sophie is a 16 year old Percheron mare. She joined our herd this summer with Cody, they were pasture mates and were surrendered together. Sophie was on a truck headed for slaughter when she was rescued four years ago by her previous owner. 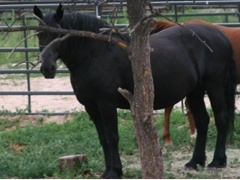 We believe in her former life she was a carriage horse, but is making the transition to a riding horse beautifully. She has such a quiet and gently nature, loves to be groomed and will do just about anything for a cookie. Sophie is a stunning creature, and we’d love to have more pictures of her, but she’s really camera shy.